Rental reviews help you learn about the opinions and experiences of other renters before you decide on your next place to live. In combing through the rental review data, Rent.com pulled the most common complaints and compliments by state, so you can see what renters in your area are talking about most. Overall, renters in the U.S. both complain and compliment the apartment staff the most. They also interchange the words management, staff and office for similar criticisms and accolades. Several states have staff mentioned in both the most negative and positive reviews, so it’s up to you as a potential tenant to read into the details a bit more and see what specifics the reviews mention. Also, an in-person visit can help you to check things firsthand. 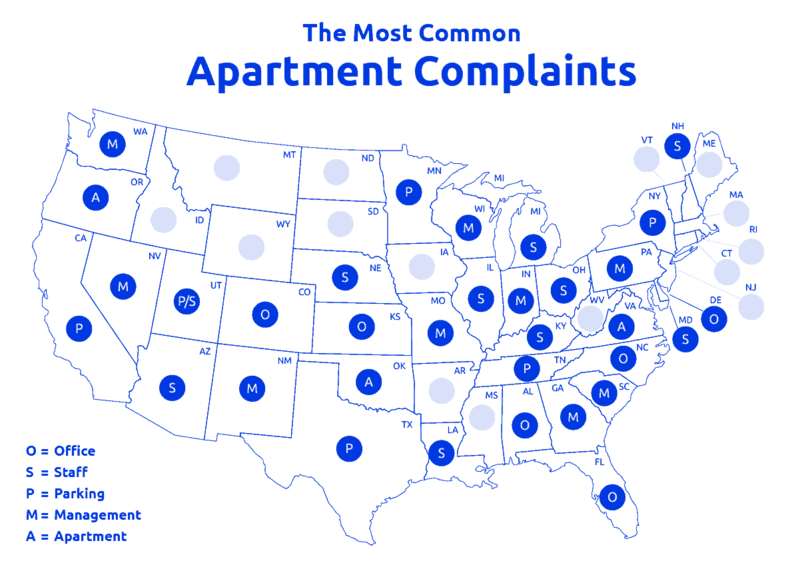 Most complaints around the country have to do with the apartment staff — management, leasing office and staff are commonly mentioned. Complaints are pretty well-rounded, though, with a variety of topics being covered depending on the area. While the staff was the biggest complaint in nine states, parking edged it out as the top complaint mentioned in six states. Based on states with more than 50 reviews. Additionally, maintenance was the topic of most negative rental reviews in Georgia, with one review noting bad maintenance practices and roaches. Renters in Pennsylvania complained about management and maintenance the most, also noting pest control issues. Oftentimes, maintenance and management can go hand in hand since it’s ultimately about the responsiveness of dealing with issues that arise. Just as with complaints, the staff is a commonly mentioned item in many positive reviews. Only one state — Massachusetts — has parking mentioned as a top positive item noted by renters. Iowa, New Jersey and Pennsylvania renters mention maintenance the most in positive reviews. There weren’t any states that mentioned the apartments themselves most in positive reviews, though there was both positive and negative commentary included within some reviews about the apartments. Renting a new place is a big decision, so be sure to check the reviews before you sign a lease and visit as many locations as possible yourself. Overall, knowing information about the management and community’s staff will help you maximize the chances of having a positive experience when you set out to rent your next place. If you’re already renting, you should post apartment reviews — good or bad — to help others! There are plenty of great reviews out there as well, so don’t let some of the stand-out bad ones scare you away. The reviews examined in this report represent data from September 2018 to February 2019. These reviews were given on specific apartments and come from a variety of platforms including ApartmentGuide.com, ApartmentRatings.com, Apartments.com, Facebook, Google and Yelp. 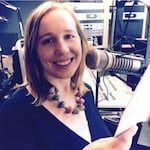 Ellen SirullEllen Sirull has been a writer for 15 years, covering topics from personal finance to identity protection to professional development. Her work has been featured on CNBC, New York Daily News, Fox News, Yahoo! Finance, AOL Finance, Experian and the Identity Theft Resource Center. She enjoys spending time with her family and traveling as much as possible.